It was the beginning of the December school holidays... some thirty five years ago give or take a year, and I was but a wee little squidlet with very big dreams. I was totally into Wham, wearing fluoro colours, and fuzzing my fringe into a masterpiece that stood high on the front of my head. I desperately wanted to somehow make ten bucks so that I could buy myself a pair of fluoro pink sunnies to go with my off the shoulder Wham shirt and my fluoro green ankle socks. I racked my brain trying to figure out how I was going to raise the funds and eventually I came up with the brilliant idea of selling jars of peanut brittle to the neighbours that they could then give as Christmas gifts to their friends. There was one small flaw in my plan.. OK more than one. 1. I had no idea how to make peanut brittle... especially peanut brittle that looked anything remotely like the packet of Darrell Lea peanut brittle I had shoved into a decorated coffee jar and passed off as home made peanut brittle that I was then pre selling to the neighbours. 2. I didn't have any more empty coffee jars to pack the peanut brittle in. 3. ummm I didn't have any idea how to make peanut brittle. Despite the challenges I was facing, I actually still went through with this - such was my longing for those fluoro sunnies. I knock on door after door taking orders and money for jars of peanut brittle from the neighbours... and before I knew it I had far exceeded my ten dollar goal. And then reality set in - how the hell was I going to make all this flipping peanut brittle when I wasn;t even allowed to use the stove. Back at home, an idea struck that was bordering on pure genius. Ahh perhaps 'genius' is too generous a word and 'desperation' would be better fitting. I somehow convinced my Nanna to not only make all of the peanut brittle for me, AND empty all her jars of ginger and marmalade into containers so we actually had something to put the peanut brittle in. I paid her some of the proceeds from the prepaid orders, the neighbours friends got their jars of homemade peanut brittle (that looked even better than Darrell's version) for Christmas and I cycled off to the shops on my rusty red bike to purchase my fluoro pink sunnies. I'd call it a successful cross generational collaboration. You may prefer to label it 'one hellava close call'. 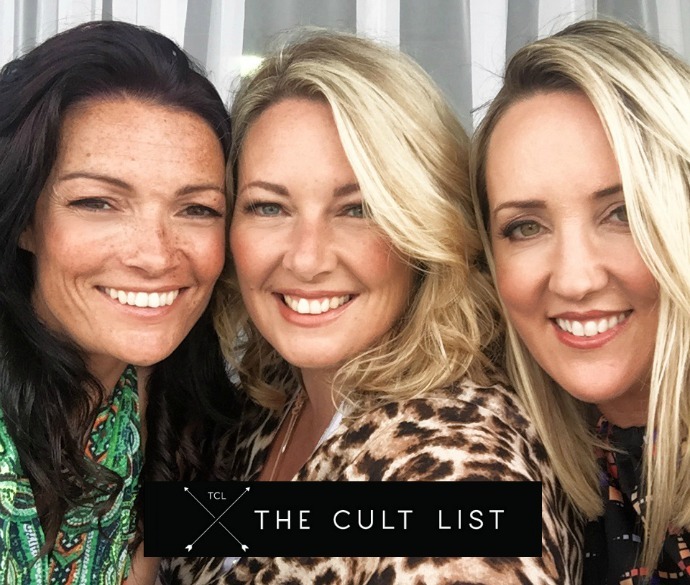 Whatever name we give it, I believe it was the birth of my great love of collaborating and a hint of what my future held - a collaborative relationship with the gorgeous girls below, Tessa and Kate from The Cult List. Kate and Tessa began The Cult List more than a year ago. Their story began when Kate designed a fabulous pair of pants and every time she wore them, people would ask her where they could buy them and so her and Tessa teamed up together and made those fabulous pants in various designs. They named the pants 'Party Pockets', created a business and website called The Cult List and within 48 hours of launching they had completely sold out of those glamorous pants. Late last year, I officially joined the girls and The Cult List officially became a team of three. Since then we have been madly working on opening our retail store in our warehouse in Brookvale, sourcing gorgeous goods to sell under our brand AND developing and expanding our very own designs in fashion, homewares and accessories. 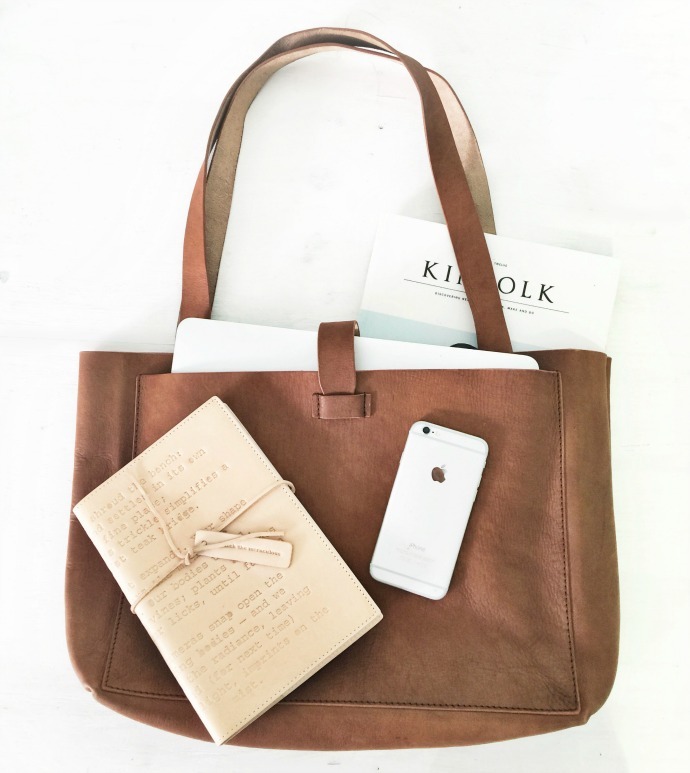 And so that brings us to today and the reason I am as excited as a pup with two tails - We are SO thrilled to share with you our latest creations - our Luxe Leather Handbags / Totes and coordinating Laptop Sleeves. 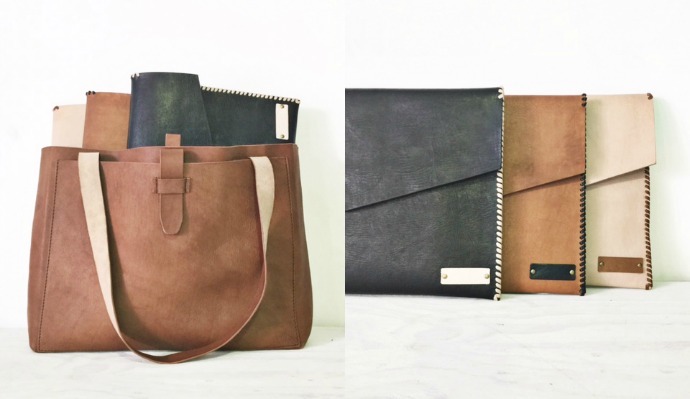 The totes and sleeves are all handmade from thick luxurious leather. 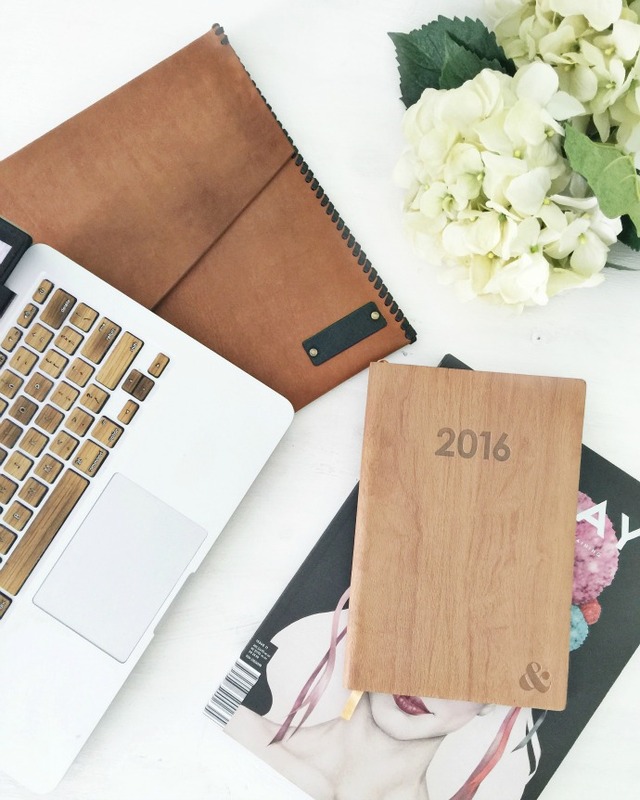 They come in three different shade - tan, natural and black so you can mix and match your leather gorgeousness and the laptop sleeves can be personalised with embossing of up to five letters. The Laptop sleeves are available to order here and the totes are available to pre-order for March delivery. You can view our full range of luxe leather goods as well as all the other goodies we stock at The Cult List by visiting our website here. And whilst your there, don't forget to sign up to 'The List' so that you are the first to hear about our new releases. So it turns out my first sticky peanut collaboration all those years ago may have sparked something in me - a desire to be a part of something bigger than just me, and a desire to be a part of creating things others would love to buy as much as I would love to own. Whilst my Nan (bless her dearly departed heart) was a brilliant and selfless collaborative partner, it turns out the two people I was destined to partner with - Kate and Tessa - were waiting somewhere, some 30 something years in my future. Got any shady peanut brittle type stories from your past? What do you think of our new leather range? Date Night - There Really Is Such A ThingMaking and Taking More TimeDISCLAIMER: Serious House Envy Alert!! !